I've been looking for an excuse to use that intro picture pose for a long time. I think I've decided that whenever I do a full-on sellout video, where the the video is basically promoting associate links, I'm gonna wear the yellow tie that was sent to me by Magigoo. Love the tie, but it just seems an appropriate signal to my loyal viewers that this is a sellout video. Not that that's the only point of this sort of video. There's a lot of people for whom this is good information. And if you just happen to buy something through an affiliate link, all the better. Before buying a 3D printer, it's good to do a little reality check. You can run out an buy just any 3D printer, but if it's not what you need for what you want, then you'll be disappointed with the purchase. So the first question you want to ask is, what do you want to print? 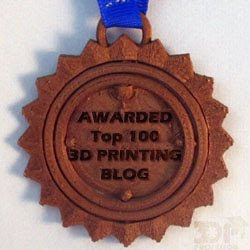 Is there a specific project in mind that you need a 3D printer for? Secondly, what's your budget? And how flexible are you on this budget? Would you be willing to go a little over your budget if it got you a lot more? Lastly, consider how much time you're willing to invest in this? Are you okay with clearing your calendar for 2 days before you can print anything, or do you want to unpack and go? 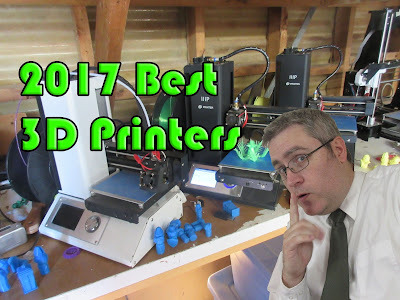 The Ultimaker and Lulzbot printers, while their great companies and great printers, didn't make the list for a few reasons. Partially, I just don't like 3mm filament. But, like I said in the video, once you're ready to spend thousands of dolars, the Raise N2+ is just so feature rich that it overshadows those offerings. However, you may disagree with me, so do your research before you pull the trigger.